With Arab, Spanish and French influences, Sicilian cuisine is in a class of its own. Here’s a look at ten palate-dazzling delights you must savor when you visit the fascinating Italian island. Food always plays an integral part in my travels. I strategically plan my itinerary around the opening days/hours of markets, pastry shops, and restaurants. In Sicily, I could live on a diet of arancini (rice balls), pasta alla norma (pasta with tomatoes, fried eggplant, ricotta salata cheese and basil) and cannoli. While all of these Sicilian cuisine staples are amazing, the island’s varied specialties offer much more. 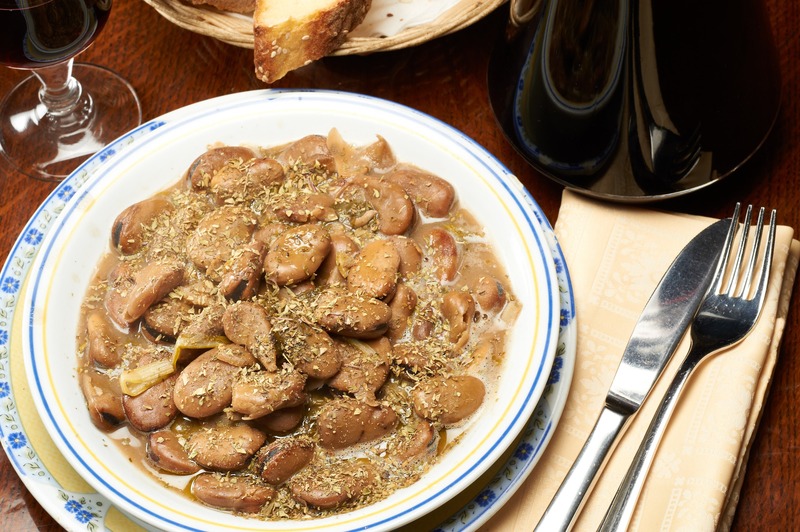 Here are ten foods you must try when you’re visiting Sicily. Granita is comprised of thin ice flakes churned with fresh fruit, nuts or coffee that is then sweetened with sugar. 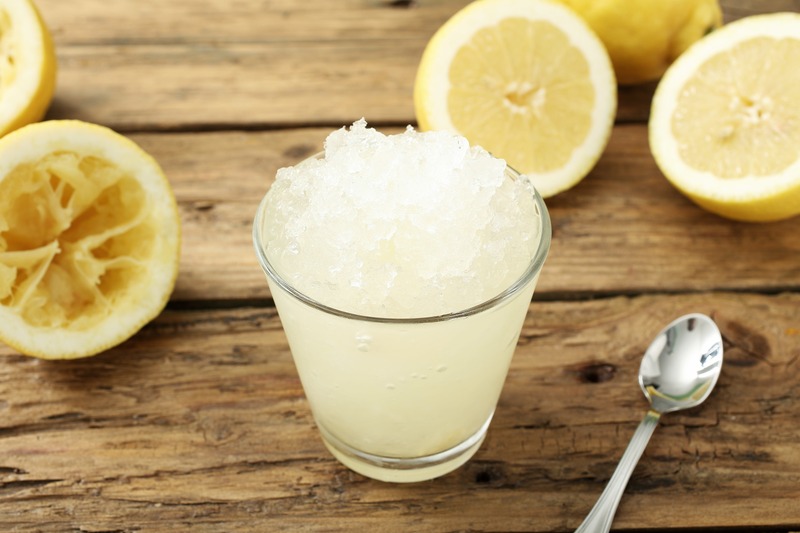 Lemon, almond, and coffee are among the most popular flavors of this refreshing summer treat typical of the provinces of Catania and Syracuse. Locals love to start their day with a granita coupled with a doughy brioche for breakfast. For a morning caffeine buzz, tear off a hunk of brioche, dunk into your coffee granita and repeat. The Re of Palermo‘s street food, panelle is made of chickpea flour mixed with water, chopped parsley, salt, and pepper. This thin, flat, fried fritter is served as an appetizer or street-food style inside a sesame bun at Palermo’s markets and squares. If you’re a purist, a paper cone filled with the fried snacks should suffice. Otherwise, order a panelle-stuffed sesame seed bun topped with potato croquettes for a more complete meal. Trust me, you’ll love it. Bittersweet caponata is a popular cold dish prepared with fried eggplant, celery, and capers, and seasoned with vinegar and sugar. Unsurprisingly, endless variations of ingredients exist; some recipes include raisins, potatoes, and pine nuts while others add peppers, olives and carrots. 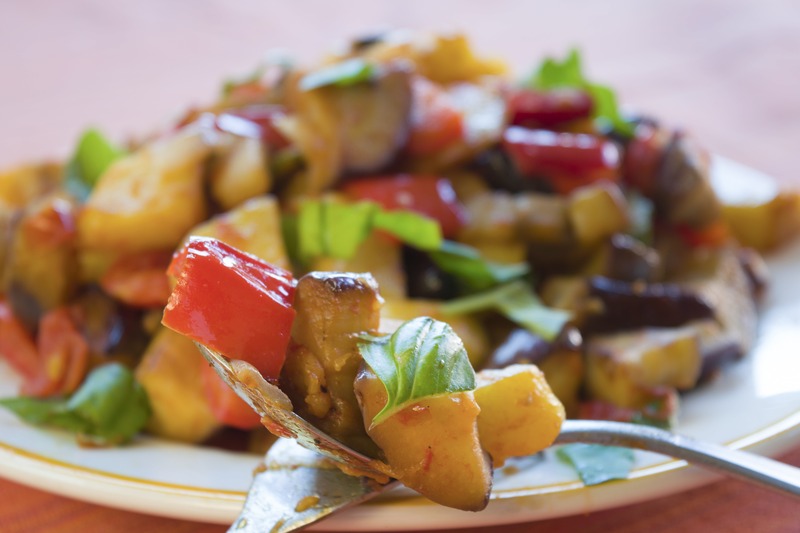 Enjoy caponata as an appetizer or side dish. Typical of Palermo and western Sicily, Sfincione is not your ordinary pizza. These thick spongy slices are topped with tomatoes, sauteed onions, a dusting of grated caciocavallo cheese and anchovies that you won’t see, but may taste. 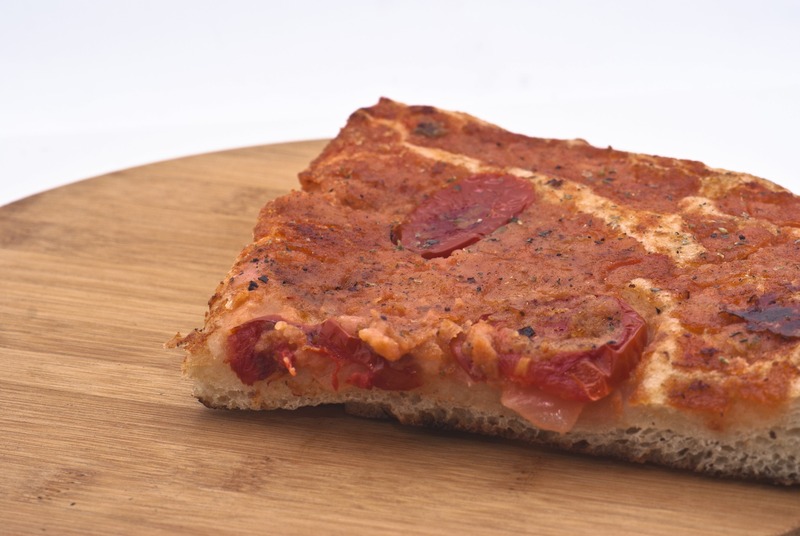 The crust is more like bread than pizza, and it’s the perfect savory afternoon snack. This creamy soup dates back to ancient times and appears both in restaurants and at home. In spring, macco is made with fresh fave (broad beans), wild fennel, olive oil, salt, and pepper, while dried beans are used during autumn and winter. Some recipes call for onions and a touch of tomato. 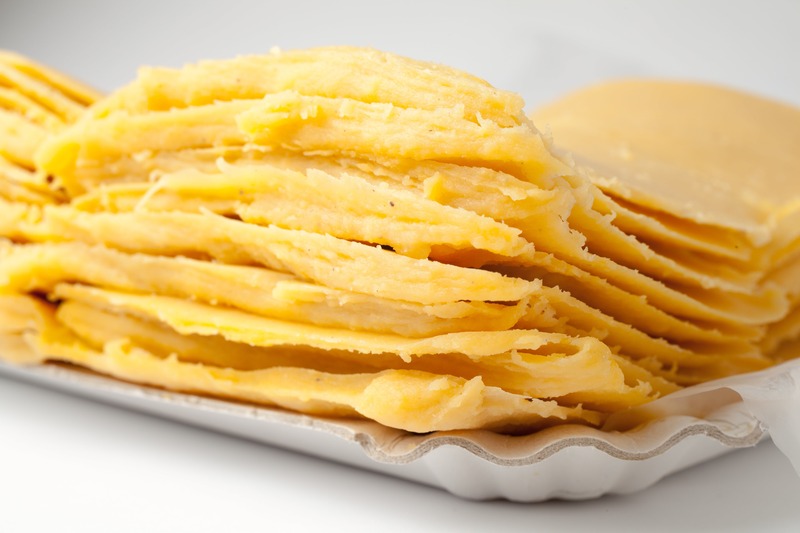 In addition to its unadulterated form, macco is often prepared with pasta. Couscous alla trapanese is typical of Trapani, a seaside town on Sicily’s west coast, and showcases the Arab influences in the island’s cuisine. 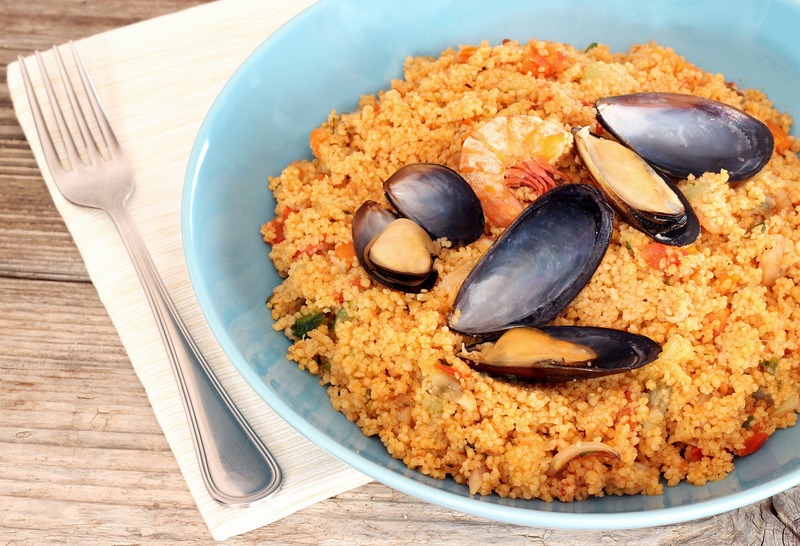 The couscous is typically prepared with shrimp or mussels and a white fish such as snapper, sea bass or cod, but there are dozens of variations. If you visit in September, indulge at the annual couscous festival in the town of San Vito lo Capo. 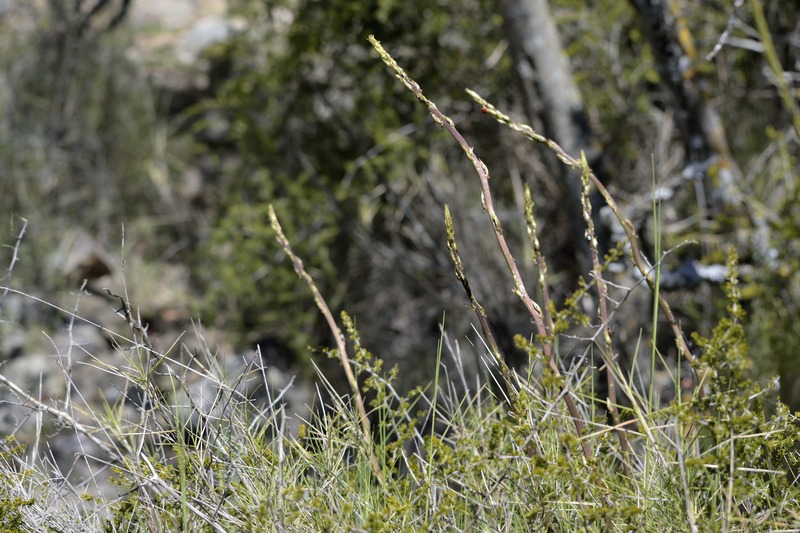 In most regions, sparacelli refers to wild asparagus but in the western part of the island, it’s wild broccoli. Sausages are often its partner in kitchens around Mount Etna. Sautee your sparacelli with pasta as a first course or pair with grilled sausages as a side dish. 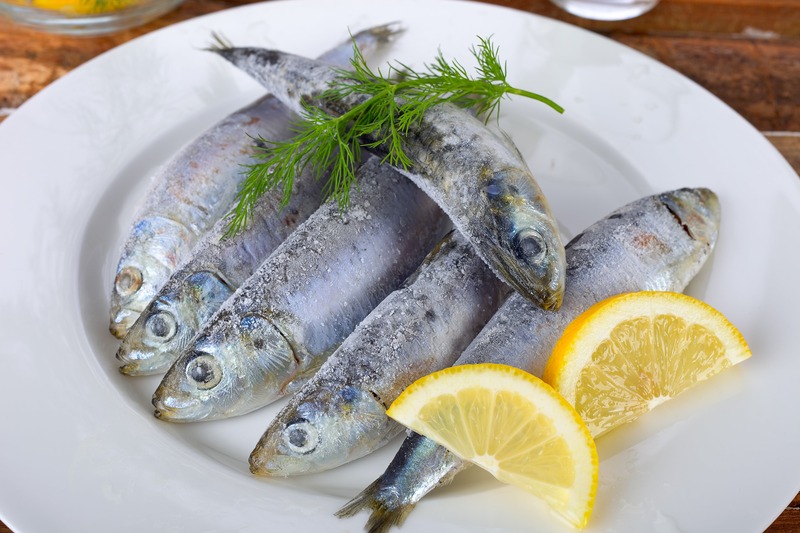 Fresh sardines are central to many Sicilian dishes that have humble origins. The fish are at their freshest during spring, making it the ideal season to prepare them with the wild fennel that starts popping up left and right in local gardens. Pasta con le sarde (pasta with sardines, toasted pine nuts, raisins, and wild fennel tops) and sarde a beccafico (sardine rolls stuffed with raisins, pine nuts, breadcrumbs and salted anchovies) offer the perfect blend of sweet and savory. If you have a sweet tooth, cassata will win you over for life. 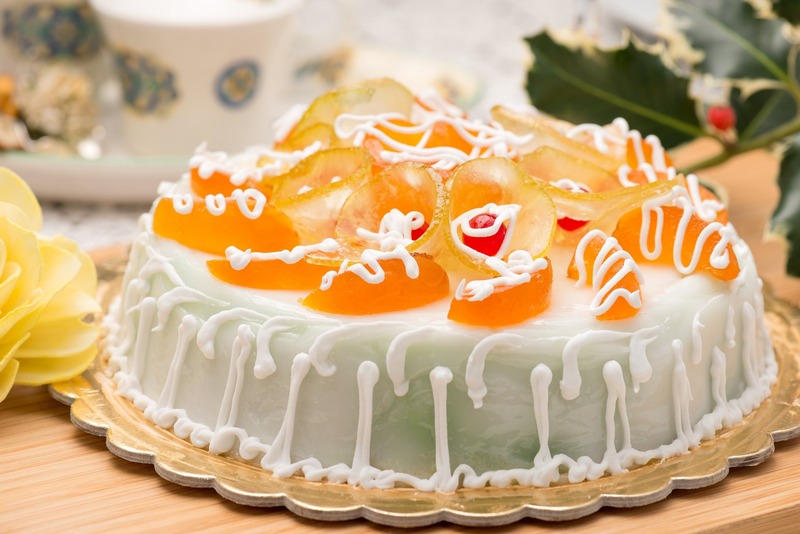 The most elegant Sicilian dessert, cassata is an elaborately frosted sponge cake filled with sweetened ricotta and chocolate bits, covered with marzipan and topped with candied fruit. It’s traditionally served around Easter when sheep milk is in abundance and temperatures are comfortable…you wouldn’t want the beautiful frosting to melt. Mostly made from cow and sheep milk, Sicilian cheeses range from fresh tuma to aged caciocavallo. The three kinds of cheese that I travel for are provola, piacentinu and ragusano. The pear-shaped provola is made from cow’s milk and develops a sharp flavor with age. The smoked version meets its match when served alongside cured meats. Piacentinu is made from sheep’s milk in the province of Enna and infused with saffron, which gives it a golden hue. 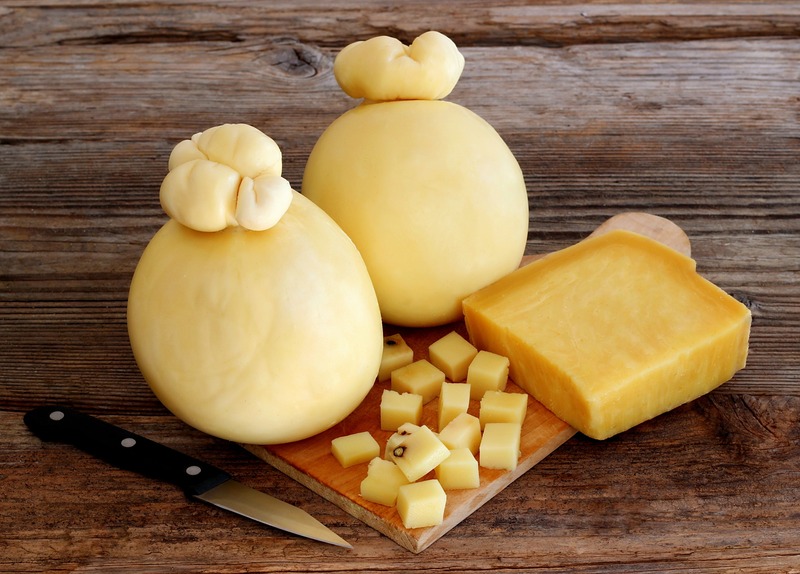 The mild and buttery Ragusano hails from the province of Ragusa and is made with whole milk from Modicana cows. American by birth and Italian at heart, Gina Tringali moved to Rome in 2007 to live her dream. She’s the co-founder of Casa Mia Italy Food & Wine and works as a culinary guide and tourism consultant. Gina holds a Master’s degree in Italian Gastronomic Culture, a sommelier certificate from Associazione Italiana Sommelier (AIS) and a WSET Advanced Certificate in Wines and Spirits. Her writing has appeared in numerous food and travel publications and on her blog GT Food & Travel. Follow her on Instagram at: @gtfoodandtravel.